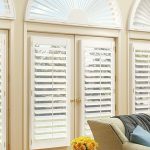 NewStyle® hybrid shutters mix the beauty of real wood and man-made materials to provide a top-quality product at a value price. 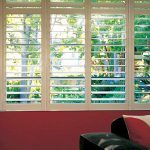 Now you can enjoy the look, feel and style of a wood shutter without a hefty price tag. Durable hybrid material – Combines the look of wood with the resilience and durability of man-made materials. Built to fit any window and door type – Custom built for all types of windows and doors. This includes perfect and imperfect specialty shapes. 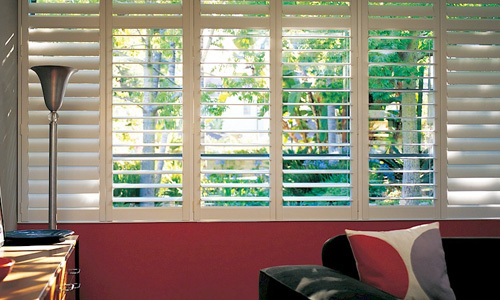 Three louver sizes are available including the 4½ louver size for an incredible view through. The Finetech® coating provides a micro-smooth satin finish that makes cleanup as simple as dusting with a soft, dry cloth. Truemill® dovetail joinery is the one of the oldest and strongest form of joinery used in woodworking, revered for superior craftsmanship, durability and a long lifespan. 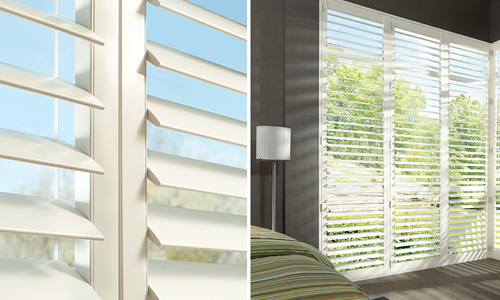 UV protection – 99% when louvers are closed. UltraGrain™ – Colors designed to replicate the look of stained wood. 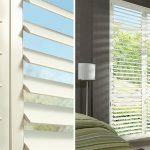 Like wood, variation in color and grain pattern may occur within a shutter panel. 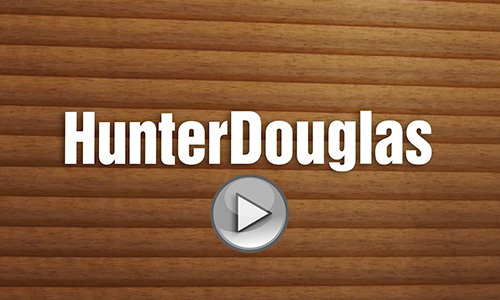 Greenguard Certification – All Hunter Douglas shutter products are Greenguard Indoor Air Quality certified to meet your environmentally friendly expectations. 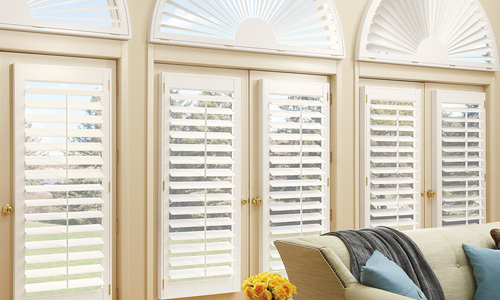 Lifetime Guarantee – As with all Hunter Douglas window fashions, NewStyle hybrid shutters are backed by the exclusive Hunter Douglas Lifetime Guarantee.